Flytech Aviation Academy is the only Institute in India which imparts practical training on live Aircrafts and exposure to actual flying to its students. In today’s day and age it is imperative for us to be armed with “knowledge” to be able to take on the challenges ahead with greater self-awareness and self confidence. Flytech Aviation Academy helps individuals acquire skills like grooming, etiquettes, mannerisms, behavior, communication and English Language in a way that they bring out the best in them and add confidence to face the world. The training at Flytech Aviation Academy is an attempt to provide a unique platform for people of all ages to not only understand and rediscover their hidden potential but also learn social skills and the finer points of life. It aims to fill the void between academic education and practical knowledge and to ensure that what you are doesn’t get in the way of what you become. Aviation all over the world is growing in a rapid way. 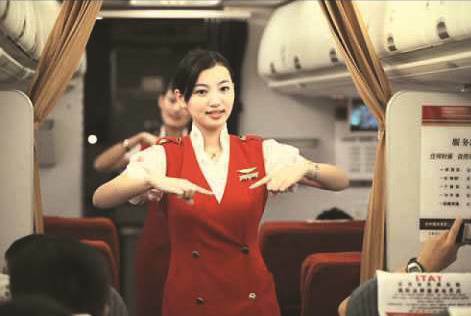 The growing demands in the Airlines for trained people is increasing day by day. With tremendous advancement in modernization of Aircrafts, service personal on board need to be intelligent, educated and cope up with latest technology. It is the service personal who are directly in contact with the passengers on board in any airlines, thus their exists great responsibility to keep up the standards of service of their respective airlines. We have opened our arms to welcome you and train you for such a lucrative and remunerative job. 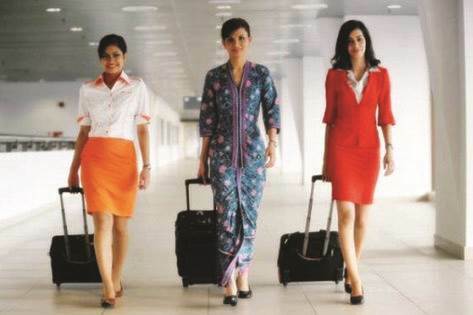 We offer you Wings to fly as cabin crew. The Academy offers the training for inflight crisis management, personality development, perfection in decision making capability, cabin serving and saving the passengers in distress. The training at Flytech Aviation Academy also helps in creating goodwill between Airlines and Travelling passengers and makes you perfect host to offer a Indian & International hospitality. The course is designed in such a unique way so that after completion of the course, individual is getting certificate of Cabin Service Training from Flytech Aviation Academy. - Hospitality & Customer Care - Human Resource Management & CRM - Accommodation Management. Practicals : Meditation - First-aid - Swimming - Handling Emergencies - Beautician’s Course - Fire Fighting. The Government of India has liberalized the open sky policy and they made opening to most of the corporate business community to enter this competitive field of Airlines Business cater to the growing needs of regular flyers. Since the comparison is taking place as to who is sustaining in the market with the best of its service in the terms of money they spent. We with moderate expenditure take care of our valuable students. We as most sophisticated most wonderful environment plus with modest infrastructure part the training to our students in their best of their abilities. We proudly state that we have the cream of the best educationist in our Academy and they part their valuable knowledge to the students. The professionals always try to give vast exposure to the Aviation Industry and make sure that the students are also exposed to outs of the Aviation in India/abroad.